Like other long-suffering Southeastern passengers I know the frustration that delayed and overcrowded services cause. It’s one of the reasons why I take issue with the Coalition Government’s decision to extend Southeastern’s franchise until 2018 (a decision that stands in stark contrast to their evident rush to sell off the East Coast line, run by a not-for-profit public operator, that will have returned over £1bn to the taxpayer by April 2015). I’ve also been concerned for some time about the adequacy of preparations to ensure that the impact on residents of the welcome but disruptive rebuild of London Bridge station is mitigated. It’s why I have joined local community groups (particularly the Charlton and Greenwich Line Rail Users’ Groups) in a concerted effort over the past 16 months to get a better deal for Southeastern customers that live in the Greenwich and Woolwich constituency. On Tuesday, as part of that ongoing effort, Nick Raynsford MP and I met with David Statham, Southeastern’s new managing director, to press him on what he and his company are doing to ensure that passengers living in our constituency get the service they deserve, how Southeastern can improve the way they communicate with residents and how the impact of the London Bridge rebuild will be mitigated. We began by raising our concerns about the overcrowded carriages that are an all too regular feature of Southeastern services and the ability of the operator to cope with the additional pressures that will result from the forthcoming timetable changes associated with the London Bridge rebuild. Mr Statham was confident that the allocation of 12-car trains on the Greenwich line (planned for introduction in January) and the allocation of longer trains on the basis of demand/passenger numbers will be sufficient to maintain capacity in off peak and peak periods. Yet despite his assurances I remain concerned about whether Southeastern will be able to maintain adequate capacity between 5.30pm and 6.30pm, when most people are getting out of work and arriving at stations, and their ability to consistently sustain 12-car train services given the reliability issues that plague their rolling stock. There is also the thorny issue of whether Southeastern’s modelling and risk assessment is taking into account the projected population growth in South East London over the coming years (a point well covered in this recent fromthemurkydepths post). Of course, addressing the existing and post-January capacity issues on Southeastern services is ultimately dependent on the provision of additional rolling-stock as there is only so much that enhancements to services/changes to existing working stock can achieve and it’s a failure on the part of the Department of Transport over recent years not to allocate additional stock to Southeastern services in the metro area. Rest assured I will continue to press Southeastern on these issues in the coming weeks and months. The introduction of 12-car trains from January, while welcome, also creates new problems for Greenwich line users that alight at Woolwich Dockyard in that 12-car trains will no longer be able to stop at the station given its situation in a deep cutting with a tunnel at either end. Southeastern have failed over a number of years to put measures in place to address this problem by, for example, fitting 12-car trains with selective door operation (sdo), procuring new SDO trains or planning for issues like sightlines. As a result I continue to urge Southeastern to ensure that Woolwich Dockyard commuters are able to travel on to Woolwich Arsenal station (which, as a result of the Mayor’s intransigence, looks likely to remain in Zone 4 rather than Zone 3/4 for some years to come) at no extra cost and did so again directly to Mr. Statham at our meeting. Nick and I then moved on to raise our longstanding concerns about service reliability. As anyone that travels regularly on Southeastern trains knows, the reliability of local services is often extremely poor with services frequently delayed (as I experienced on the way to the meeting when I found myself waiting an extra 10 minutes for a delayed Cannon Street service). Mr. Statham conceded that service reliability is not where he wanted it to be but argued that nearly 70 per cent of the issues affecting service reliability are infrastructure-related with only 30 per cent relating to Southeastern's rolling stock. There is some truth to this in that speed restrictions on various points of the line, ongoing problems with critical infrastructure (a major junction at Lewisham was rendered unusable after the track split nearly a month ago), problems with maintenance teams at London Bridge and resilience of the network in the face of seasonal bad weather are all, to varying degrees, in the hands of Network Rail not Southeastern. Yet problems with Southeastern’s own stock still account for nearly a third of the issues affecting service reliability. Mr. Statham set out Southeastern’s plans to address the problem including extending remote condition monitoring (allowing for problems to be identified when a train is in motion rather than when stationary) to the 110+ older Class 377 Electrostar carriages they still have in operation and improved collection of data in persistent problem areas so that Network Rail can more efficiently be dispatched to repair faults. I’ll be monitoring the impact of these, and other, measures in the coming months and will be pressing Mr. Statham at every available opportunity to ensure that the new tougher performance targets imposed on Southeastern are adhered to and that the £70m that the government has invested actually leads to real improvements in customer service and train punctuality across the network. Poor communication was an issue that was a constant theme throughout our discussion and we made clear to Mr. Statham that in addition to generally poor levels of communication over the years we remain particularly concerned that awareness among local residents about the impending disruption to Greenwich Line services remains far too low. In response we were told that new technologies were coming online (train crew and station gateline staff will be given tablet devices to ensure better access to up to date train service information by 31 July 2015 and new information screens will be installed at key stations to enhance the way information is shared during disruption by 1 April 2015) and that a major campaign will begin in January to raise awareness about the impact of the London Bridge rebuild. This campaign will involve social media, leafleting and, most importantly, additional staff to engage passengers at stations along the Greenwich line. I believe that communication should have begun far earlier and that it should have been more effectively targeted at local residents (who don’t reflexively associate the “Thameslink Programme” with the area) but I hope that passengers will see a benefit from the new measures being introduced. Lastly, we discussed the progress that had been made in mitigating the impact of the London Bridge rebuild on residents and the outstanding issues that remain in this regard. To give Southeastern their due, progress has been made on a number of fronts, particularly our success (though arguably not as comprehensive as many would wish) in ensuring that passengers who require additional journeys as a result of the disruption will face no extra cost. Yet outstanding issues still remain. For example, what plans are in place to ensure that local residents undergoing treatment at Guy’s Hospital, who will not be able to alight at London Bridge during a large period of the rebuild work, are able to access the healthcare services they need? Southeastern assured us that they are aware of the problem and are working closely with Guy’s and St Thomas’ NHS Foundation Trust on the issue but with little concrete detail forthcoming my concerns remain. Southeastern’s performance to date has clearly been inadequate. The extension of the franchise to June 2018 gives them the space to make crucial improvements and the associated additional funding the means to achieve them. Southeastern and Mr. Statham now need to ensure that they deliver early and tangible benefits for passengers and thereby build trust and confidence in their service. I’ll continue to closely monitor Southeastern services and to work hard to ensure that they do so. Typical that Southeastern blame Network Rail for the bulk of the delays. Just the sort of thing that privatisation was bound to foster. I agree with you about ‘Thameslink’ being a misnomer, it only means people from Peterborough will be able to get into London more easily for which we will suffer the total loss of a direct Charing Cross service. The fact is Southeastern are allowed the biggest price rises of any train company to help pay for a fast service for Kent commuters while the people who live in London are being treated as captive commuters. Thanks for your efforts, but I rather fear you are bashing your head against a corporate brick wall. Woolwich Dockyard Station should be manned by full time staff, one staff works there part-time now. People need assistance for ticketing and assistance to go to Platform as well, there is no way disable people could access Platform 1 without any assistance. They should install Oyster Service inside the counter/ticket window so that people could top up when outside machine is out of order. When Ticket machine is not working and during peak time in the morning there is no other ways to Top up Oyster Cards, Ticket Office could not top when it is open, not sure why. I am so angry at the way we are being treated. As a previous poster mentioned South Eastern have wasted huge funds to run High-speed services for Ashford residents whereas they should be sorting out the crazily bad infrastructure in London first given it affects more people. Our trains are a joke from Greenwich. They are never on time on the way into work and my 18.12 home from work at Cannon St is cancelled at least once a week. So far this week 3 out of 4 days have had issues. They just are inept and London Overground should have been given the Franchise. Another major issue is the 30 minute minimum delay to claim a refund which only works for people travelling into London from far out. If my advertised 16 minute journey from Greenwich to Cannon St takes 40 minutes, which it often does, then I am not deemed to be late so get no refund despite being over 100% late for where I need to be. Its false advertising and I should be allowed a refund. Labour needs to speak up and get angry for the working people of this Borough, it always jumps to the cause of the unemployed, elderly, sick etc… come on and represent us commuting workers who are cram into London like cattle every day to pay for our Borough to operate. We are your bread and butter so my vote depends on your reaction to SE Rails dreadful cut to our service whilst Thameslink gets improved. We are being sacrifised so people from Brighton can get to work quicker. Its unbelievable! If Southeastern have agreed to ensure that passengers require additional journeys, will they be willing to cover alternatives such as the Thames Clipper? For those who commute from Greenwich to Waterloo East or Charing Cross the Clipper may provide the best alternative, yet the announcements so far only seem to cover the tube and bus routes between London Bridge and Waterloo East and Charing Cross. Hi! I just wanted to thank you Mr Pennycook for your recent letter to me re all the new housing develpoments in Greenwich. I will be writing you more on that subject soon. I live in West Greenwich. I work part-time in Battersea and used to take the train from Deptford- Waterloo East and then catch my Southwestern train there. I have travelled twice since the changes with London Bridge via DLR from Greenwich- Lewisham as suggested on the Southeaatern website and then onwards with Southeastern to Waterloo. Both times I have been charged for my 2 DLR journeys using my Oyster Pay as You Go despite all Southeastern writes on their website about this part of my journey not being charged. I called Southeastern and they said there is an error with TFL and to take it up with them. I called TFL twice and both people I spoke to know nothing about this refund we have been promised! One even suggested I didn’t touch in on the DLR on both journeys and the other after getting advice from a colleague suggested I take another route to avoid Zone 1!!! 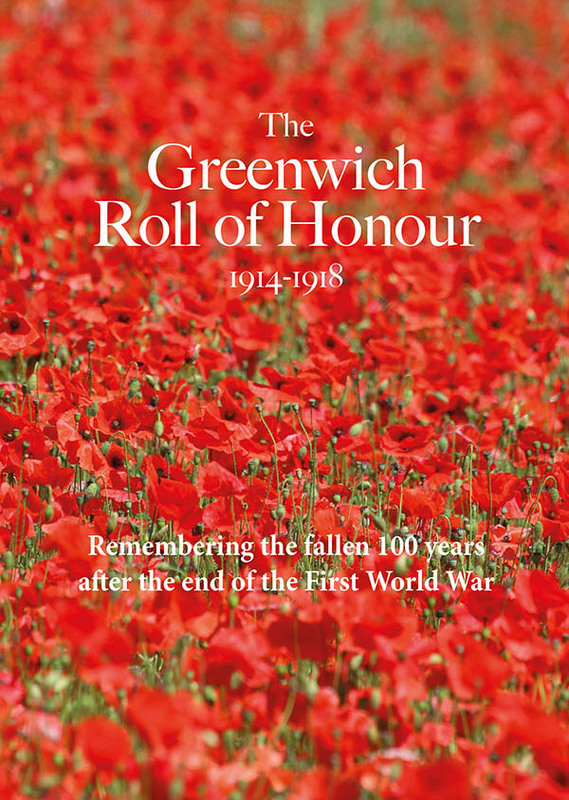 Thank you so much for your continued work for us here in Greenwich. I hope you have more success with TFL than I did.